Exclusive information reaching our news desk today, is that the University of Benin, popularly known as UNIBEN, has appoint a new vice chancellor to take over the affairs of the academic institution. For all concerned students/persons, who wish to know the name of the new Vice Chancellor of the University of Benin (UNIBEN), his full name is Professor OSASERE ORUMWENSE. We’ve decided to update you, with little information on the new VC. Prof. ORUMWENSE hails from the Binin, which is one of the most populous cities in Edo state, and Benin is a speaking tribe of Edo State. Professor Orumwense was a lecturer in the Mechanical Engineering department of the academic institution and was also the admission officer of the school in 2001 (this is to say, that every students who were admitted during the 2001 academic year, should know him). Due to his diligence works, he was later appointed the Rector of Institute of Technology and Management (IMT), Usen,Edo State. He was also the dean of the Faculty of Engineering in UNIBEN. Right now, he have taken over office from Professor Oshodi who served excellently well and is also a Benin man. 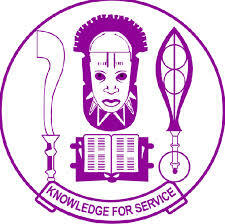 More grace to Uniben new Vice chancellor, Professor OSASERE ORUMWENSE.